Reading aloud to your child is a very important form of communication between you and your child. Why not choose a story from our great selection for your reading. 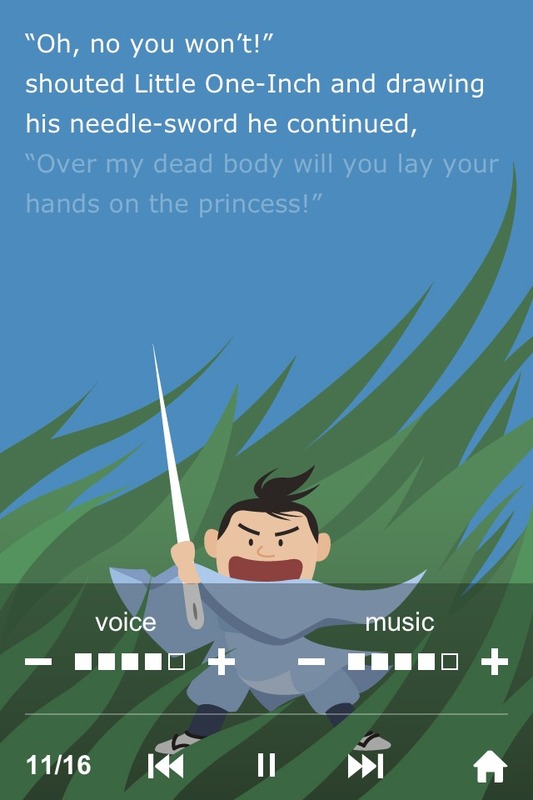 This App follows stories with gentle voice and amazing orchestra sounds. 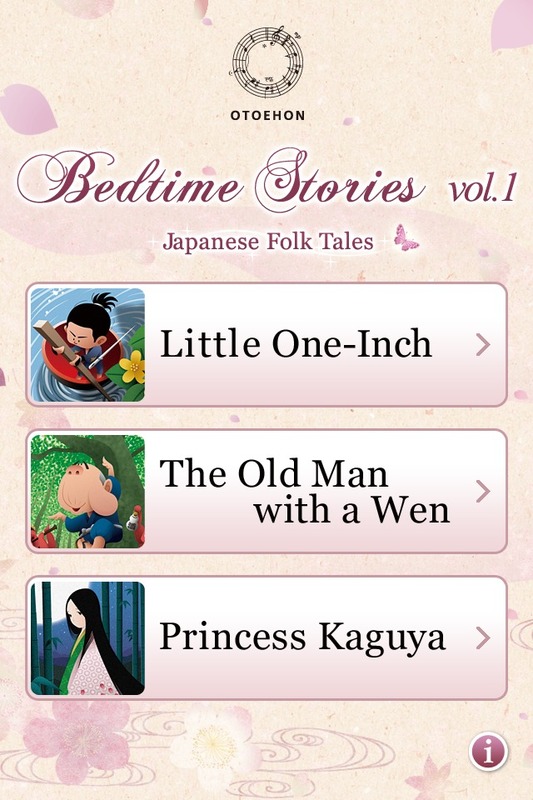 We present to you, a new app to assist you with bedtime story telling. Please make use of the 4 functions and have a great time with your child. 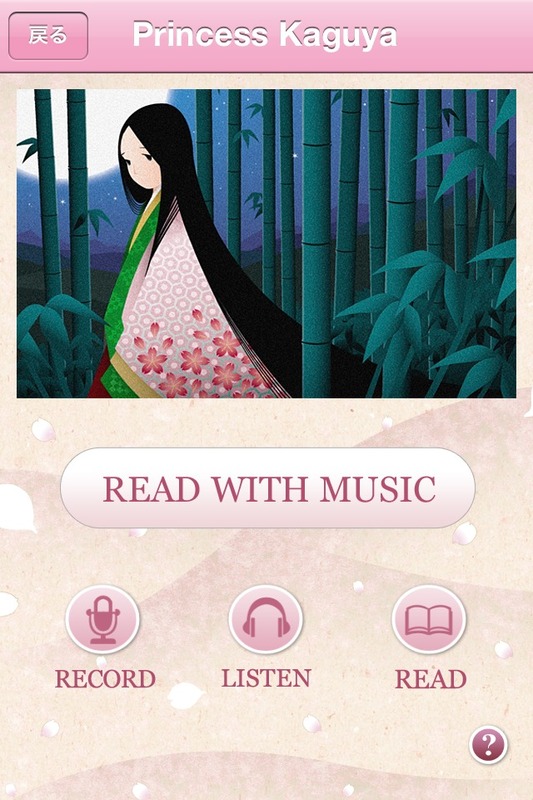 This app provides 3 Japanese folk tales. Each story comes with its own music and SE. Like Karaoke, the words become highlighted for your assistance. With this help mode, anyone can become a natural storyteller. Once you have become accustomed to storytelling, use the record function to record your own voice. 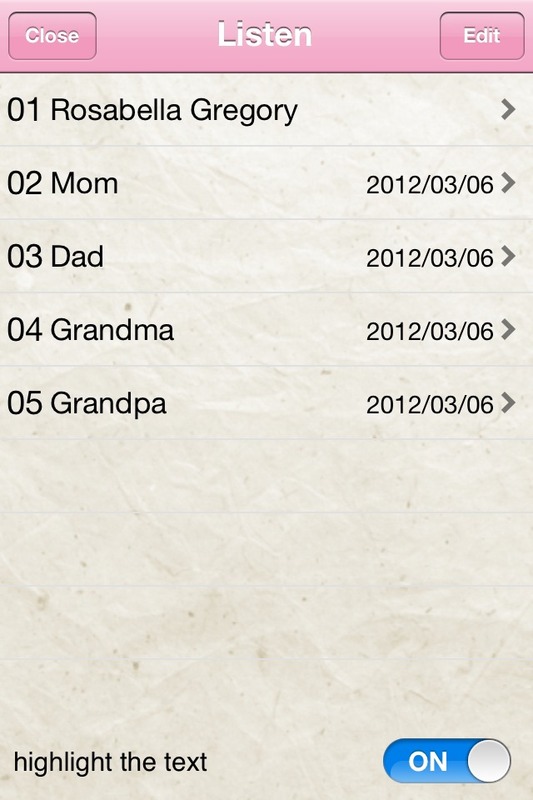 You can record mother's/father's original version of storytelling for your child. The recording can be kept as a memoir, or for your child for bedtime storytelling when he is alone. " You can listen to your recorded narration with music. With this mode, your child can enjoy OTOEHON even when you can't read to him. You can also enjoy a professional narration with music just like audiobooks. Please have a great time with "Sound of Japanese Folk Tales". Each story is completed with wonderful illustrations. Enjoy this mode like a book, flicking through the pages with your finger. Music does not play in this mode.